I have mentioned all the details about my education and work experience at my introduction page. I started as a php programmer and web developer back in 2015. I got chance to learn about forums and communities development while working as XenForo developer for an out sourcing company. As XenForo developer i have coded many custom solutions and handled migrations of some big boards from Vbulletin, Ip board and PhpBB etc to XenForo. The solutions invloved custom XenForo addons, Custom styles and forum setup/configuration etc. As a XenForo developer i can code custom addons following the standards set by XF forum. While there are many issues with the most of the custom solutions like direct SQL queries in the controllers. Poorly written DataWriters and Models. I always make sure to code secure and lightweight addons for the best performance and page speed. The best results can only be achieved if the developer knows about the database structure and how XenForo class proxy system works. Even an expert PHP programmer have to spend quite some time to learn about the structure of files and database in order to produce a great product. Having spent around 2 years now as XenForo developer i am very confident with my skills. I can create any kind of custom addon for XenForo 1 & 2. While there are already many custom addons being made by companies and programmers available at resources section. Still most of the time webmasters need some additions or changes to match their needs. Most of the xenforo developers do not like to work on existing addons because it is difficult to follow the code logic of the original author. I think i have spend 40 percent of my development time in past 2 years customizing existing addons. It helped me to know about new things and techniques that developers follow. I admit this thing helped me a lot to adopt the best practices and find the loopholes in some poor solutions. In fact, i love to customize the addons at very reasonable development fee. XenForo developers frequently get requests for SSO between XenForo and other php applications. 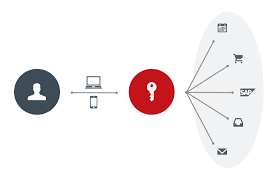 It is much feasible for users to login at one site only once to get the authentication done at all the associated applications. OAuth and custom SSO is a technical thing that most of the developers fail to do . 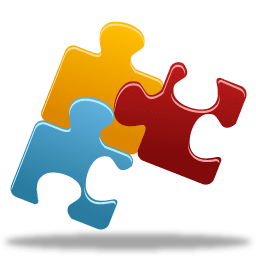 Due to less number of XenForo developers who are qualified enough to code such integrations SSO is left as a dream for most of forum owners. Till date i have done SSO implementation for 3 forums. Its complexity depends upon the application and technology used for the child application( to be integrated with XF). But it is very much possible and efficient solution that can be coded with in 400 to 1000 USD in most cases. Technology is getting much better day by day. Many IT companies have fallen to ground after staying at top for many years. A software company that provides great customer support, more options to clients , good user experience and an efficient solution is always loved and followed. This is what made hundreds of forums switch from Vbulletin to XenForo. 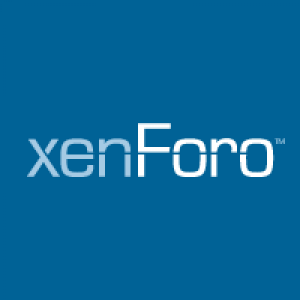 Although, XenForo provides default importers that can be used to import data from some famous forums. Still unexpected results are possible that’s why a XenForo developer is hired by board owners to avoid the mishaps. I can handle such migrations with proper redirection of old google indexed link juice to appropriate XenForo pages. If you have any custom addon coded for your forum that you want to get upgraded to XF2 i can help you with that. I think this task do not need much explanation because a xenforo developer who can code custom addon can easily upgrade the code having complete logic already in the hand. With the launch of XF2 many boards have already improved their forum technology with this upgrade. If you are having any issue with this upgrade as an experienced XenForo developer i am available to help and propose a solution for that. My speciality is php programming and addon development. I only accept limited custom style requests for some simple forums only. I think i am a better addon developer that is why i seldom work on custom styles. But i can create elegant styles without any issue. I have not listed any product for sale at xenforo resources section. I like to work as a service provider and code solutions for clients only. It is difficult to handle the individual clients and also manage a paid product. The custom solutions are always private and available for demo on request only. Here are SOME addons that i have created recently for individuals. Feel free to ask me for a demo if you are interested in a product like this. XenForo bump limit addon plus. A user can bump a post and have to wait for specific time set by admin using options at the admin panel. This addon have base like this xenforo addon with some added functionalities. Post rating addon: Users can upvote or downvote a post like reddit. the post having most number of votes is shown at the top followed by other posts in order from high to low. There are many other options that need a post that i will write very soon. XenForo job posting addon: This addon allows users to post jobs in specific categories added by admin. Users can apply to the jobs by starting direct conversation with the admin. This addon automatically import jobs from Indeed.com using a CRON JOB. Conversation improvements: Now you can write to a multiple users by selecting their posts in the thread, Select 5 users and send them message at once. Famous posts: This addon shows the most famous posts in a tab with 3 options, Show most liked posts, most viewed posts etc. My reviews are added at the home page with screenshots of some popular freelancing sites. You can check them here.